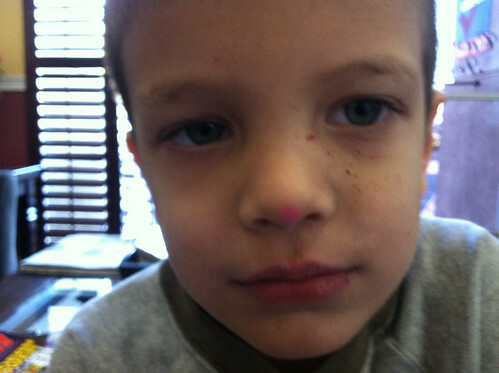 "Nathan, were you playing with Mommy's pink highlighter?" The evidence always says otherwise. my little henry is the same way. "henry, did you eat that chocolate?" "um, sure...then what is that brown stuff smeared all over your mouth, and why does your breath smell like chocolate?" when i was a kid, i always swiped chocolate chips from the baking cupboard. caught once and lied through my semisweet covered teeth. I am a new follower & I love it. If you have time, I would be honored if you hopped on over to my blog!